Playing Fortnite and thinking that perhaps you're not seeing enough lava or molten characteristics from your player model? You can remedy that very quickly. 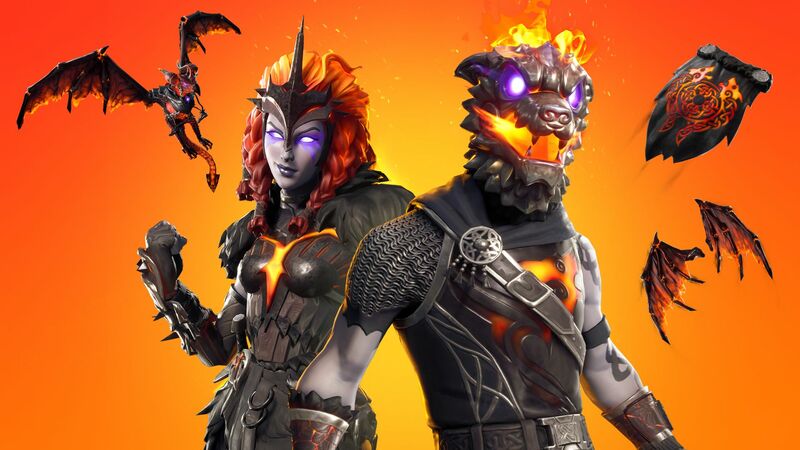 Thanks to the new Lava Legends Bundle available in the Store in Fortnite, you can drop some real-life cash to nab a selection of cosmetics featuring a volcanic theme. The Lava Legends Bundle will run you $19.99 (not V-Bucks, but real money) if you want to give it a purchase. It's available as of update v.820. You can see some of them below, as well as how appropriately devilish they look once on a character. You can drop more cash if you'd like on the lava wrap available from the Fortnite Item Shop for 700 V-Bucks, but that shouldn't affect your pocketbook too much. To get the Lava Legends bundle, you need to jump into the digital store on whichever platform you're playing on and check out the Add-Ons section. There, you should be able to find the Lava Legends Bundle pack and an option to buy it. You can also access it via the in-game client. If you're thinking about picking up the new cosmetics set or want some new goodies to add to your collection, this does look like a pretty cool set, we do have to say so ourselves. The only issue is that it's $20, so if you've got some spare cash lying around that you want to use up, hey, you could drop it on this.